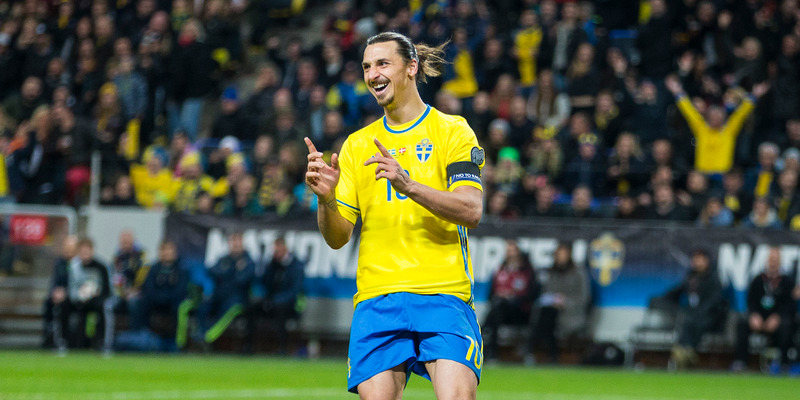 Michael Campanella/Getty ImagesSweden 10 Zlatan Ibrahimovic during a European Qualifier Play-Off between Sweden and Denmark on November 14, 2015. Zlatan Ibrahimovic, an iconic soccer player who is known for his outrageous quotes, is leaving Manchester United to join the Los Angeles Galaxy. Ibrahimovic has, among other things, compared himself to God and claimed the World Cup is nothing without him in it. Ibrahimovic’s arrival should draw attention to a Galaxy team that is dealing with a new cross-town rival. One of the most famous soccer players in the world is coming to the United States to ply his trade for the Los Angeles Galaxy, and MLS press conferences should be getting a lot more interesting. Swedish soccer star Zlatan Ibrahimovic is heading to the Galaxy from Manchester United, as reported by The LA Times’ Kevin Baxter. Ibrahimovic is a talented and highly decorated striker, albeit one well past his prime at this point. He is also, even by the standards of professional athletes, overflowing with confidence. Once news broke that Ibrahimovic would be leaving Manchester United, he posted his farewell to the club on Twitter, in characteristic fashion. Ibrahimovic is joining one of the most decorated clubs in MLS history, albeit one that needed to make a splash in the public eye, given a new MLS team in Los Angeles, LAFC, has recently begun playing. Ibrahimovic has made only seven appearances for United this season, according to ESPN FC, as the effects of age and injuries, plus a crowded striker rotation for United, have made playing time difficult for him to come by. You can find more great Ibrahimovic quotes here.